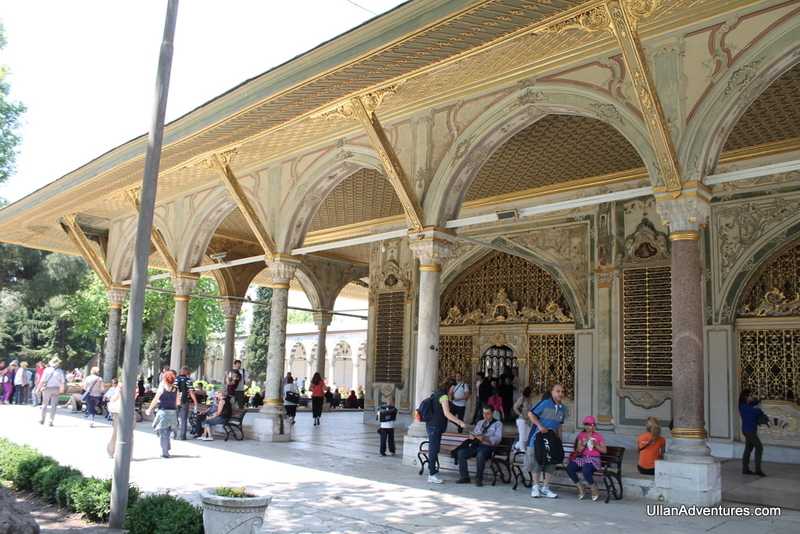 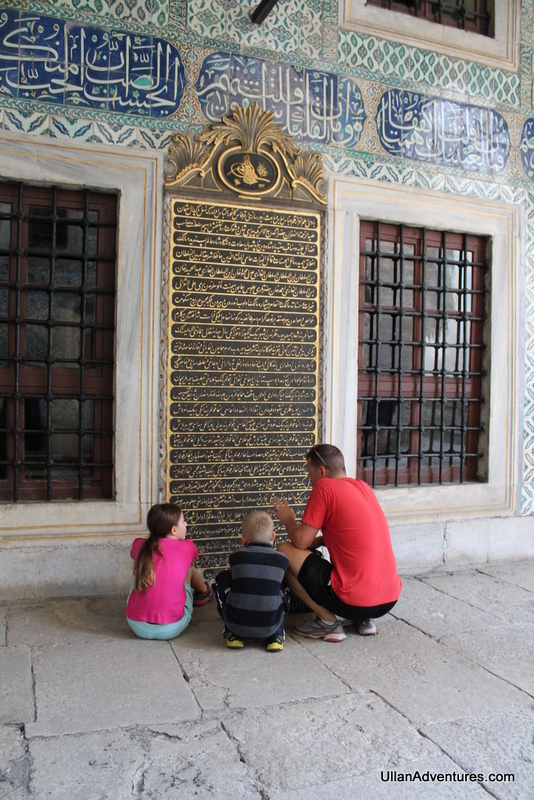 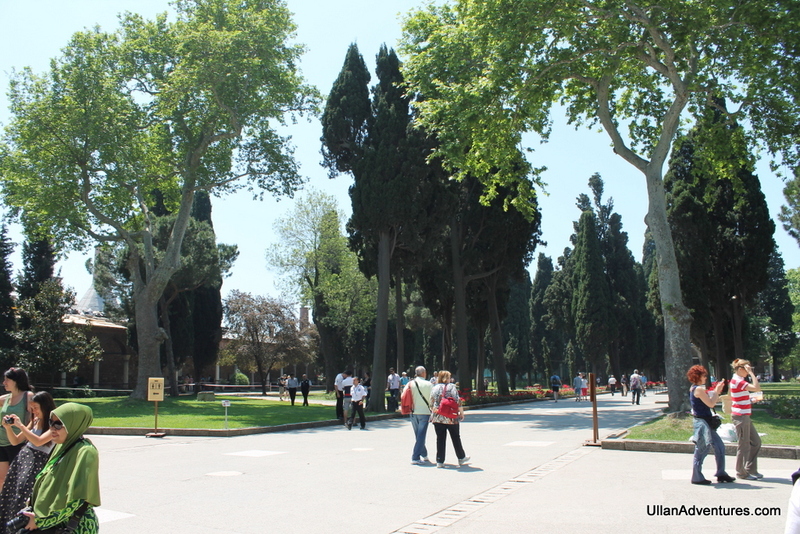 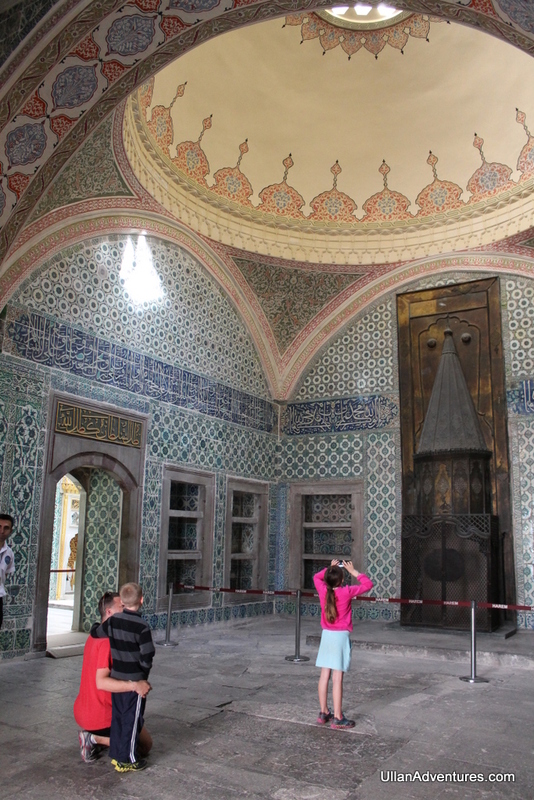 Topkapi Palace was our final sightseeing stop in Istanbul, so Chuck and I enjoyed it, but the kids were over it. 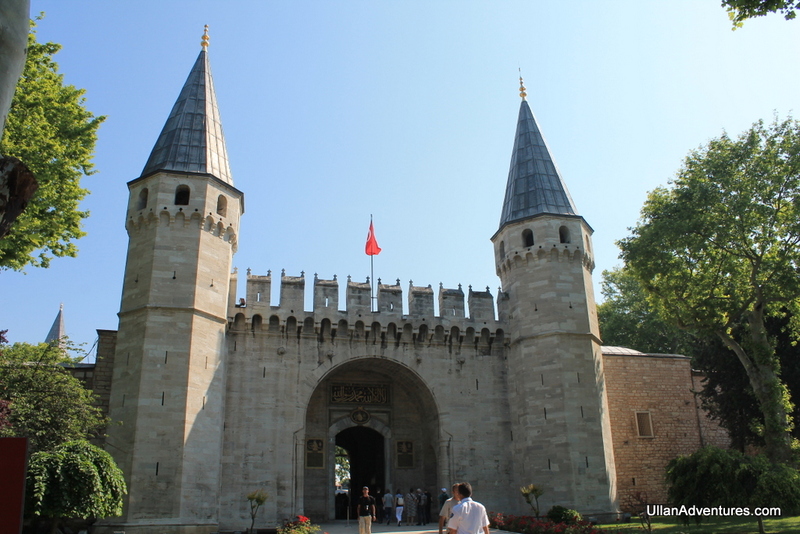 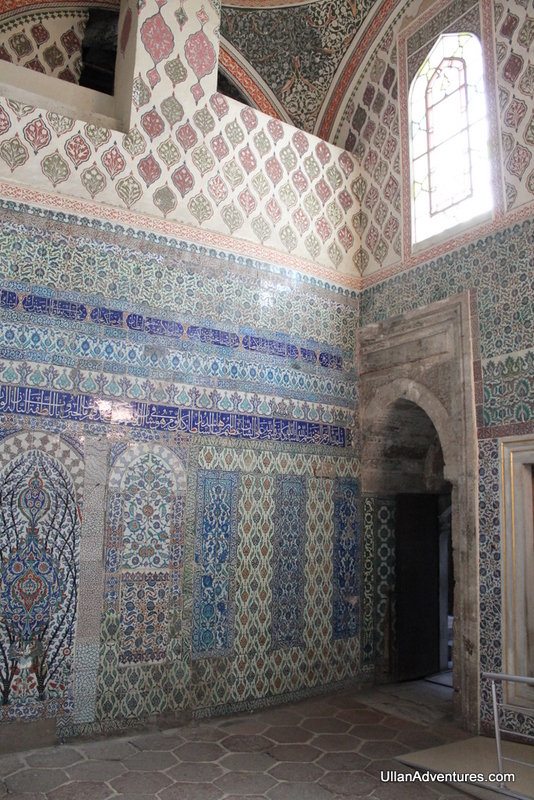 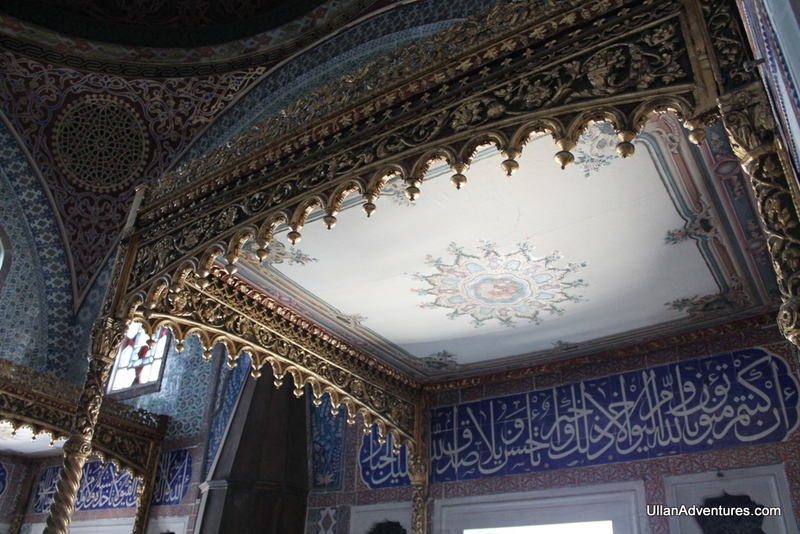 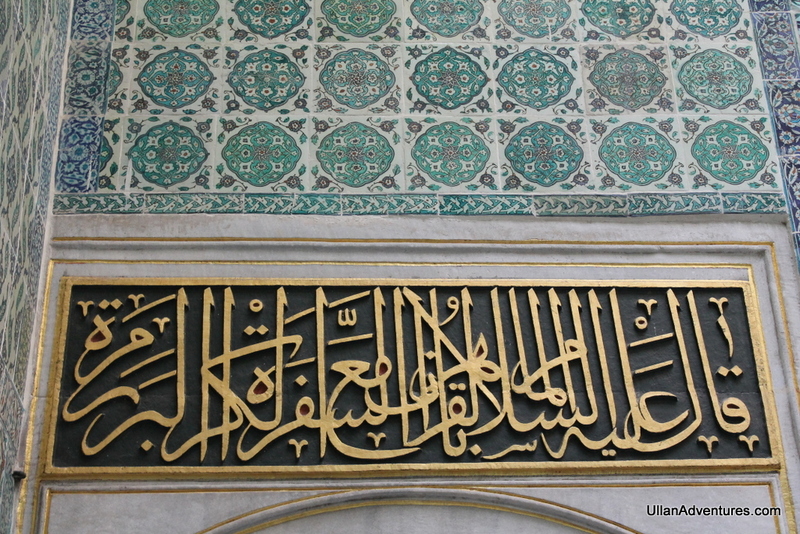 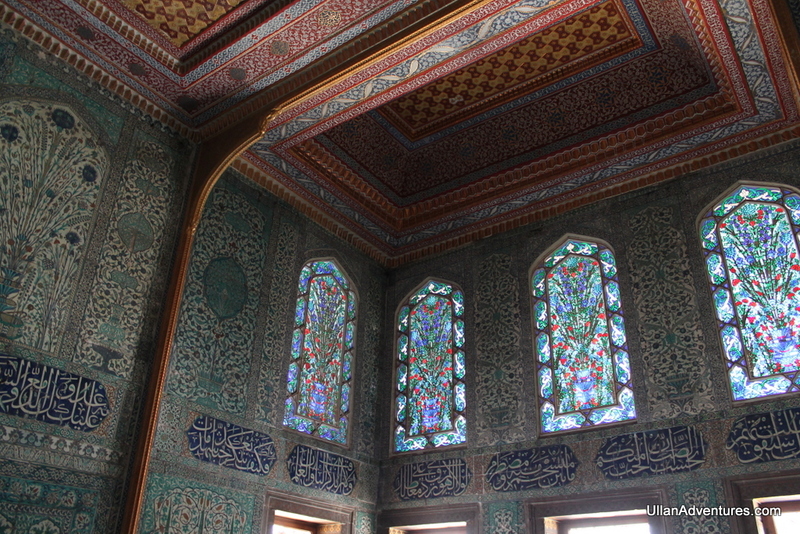 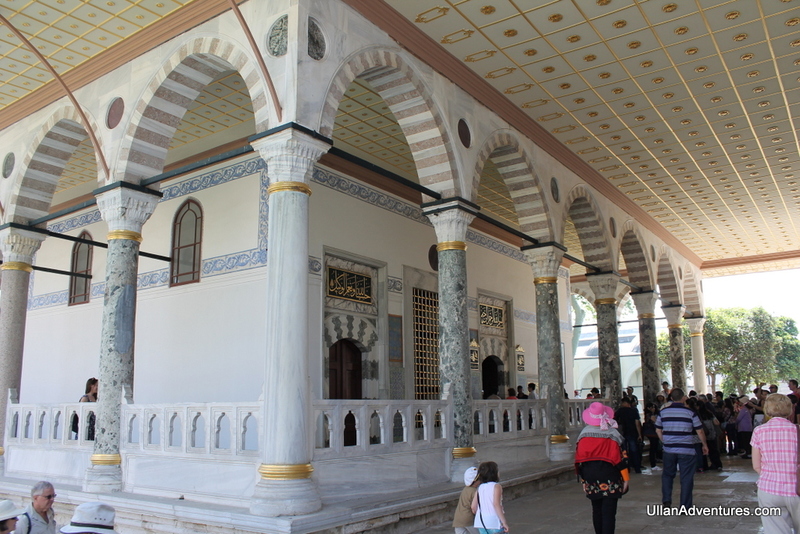 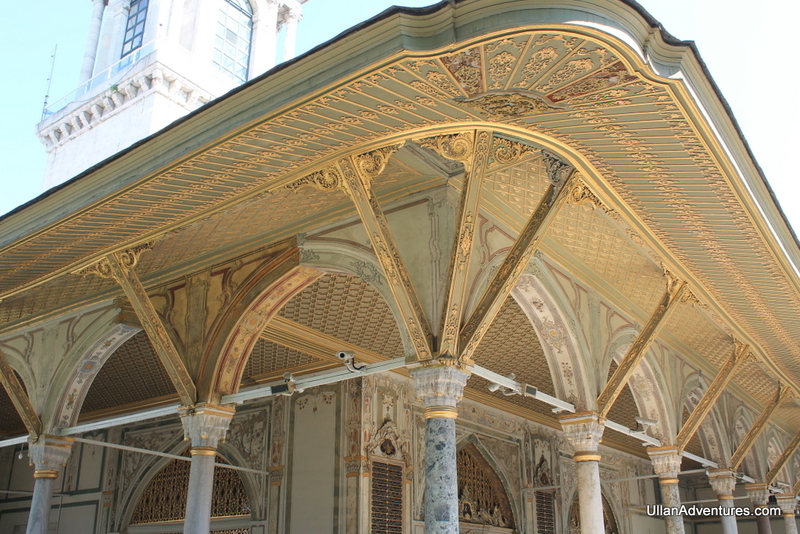 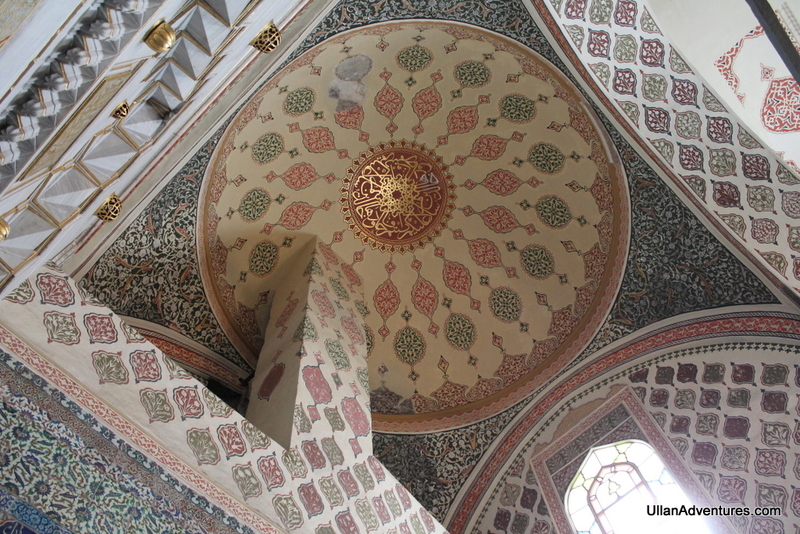 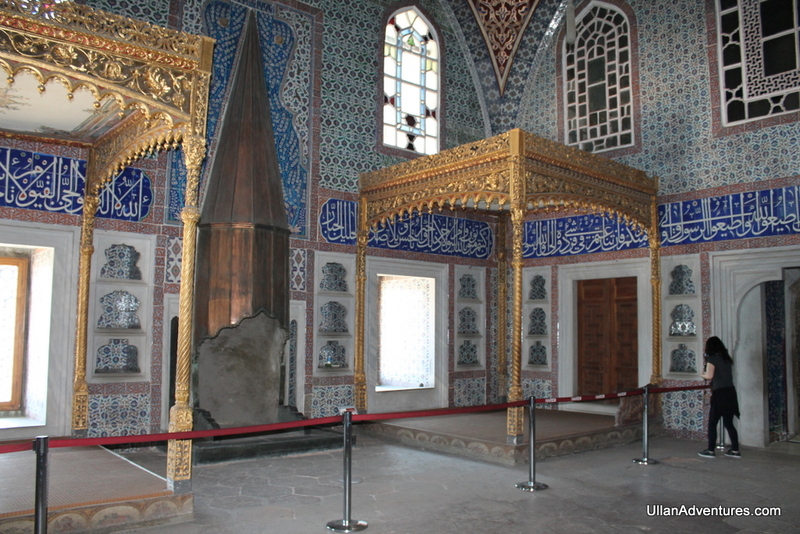 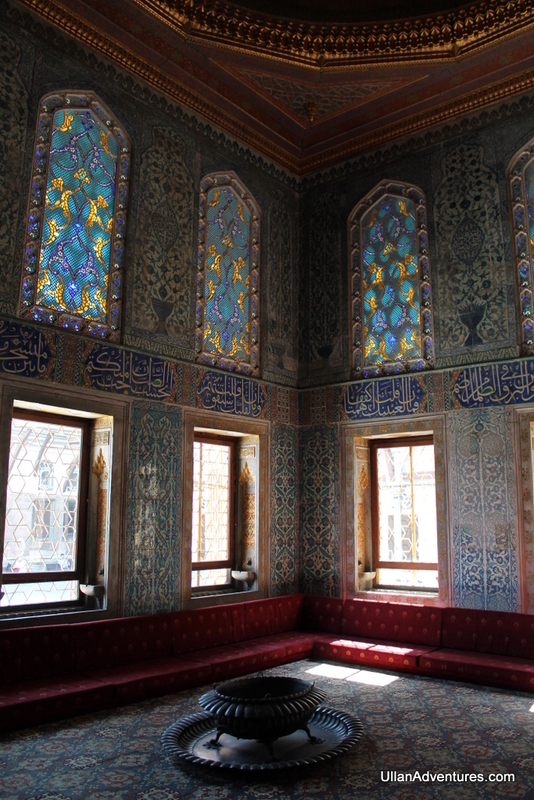 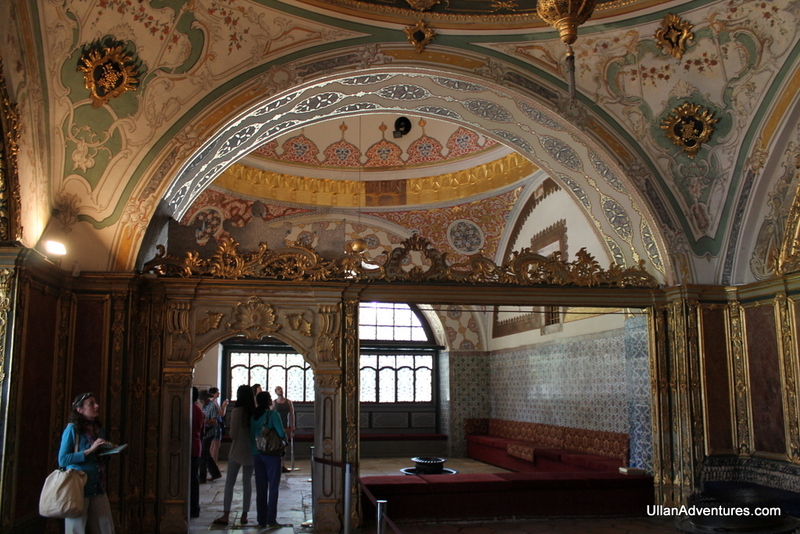 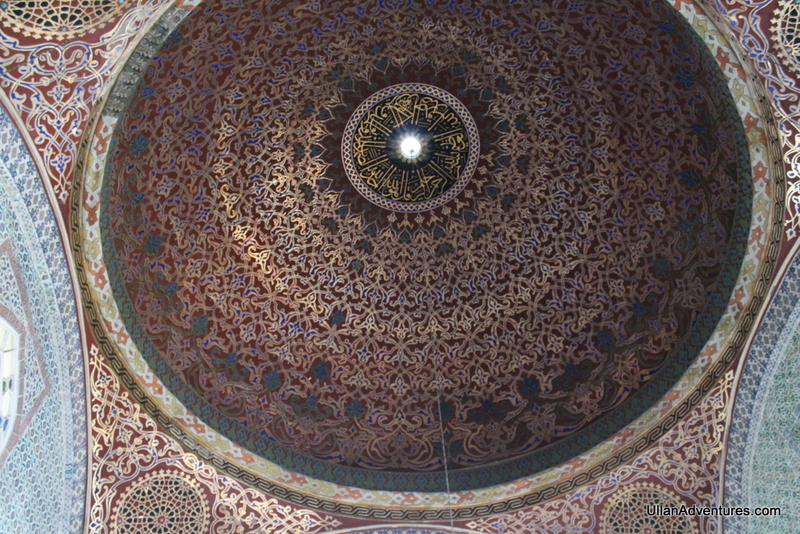 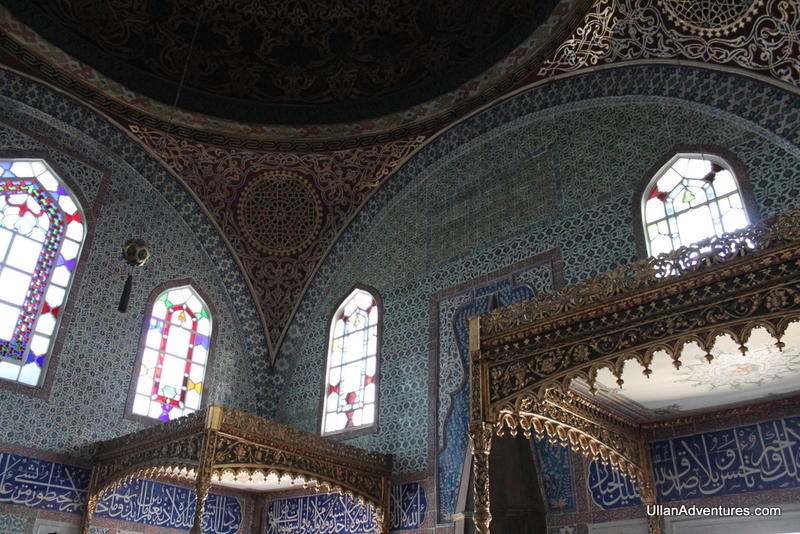 Topkapi was one of the main residences of the Ottoman Sultans for over 400 years. 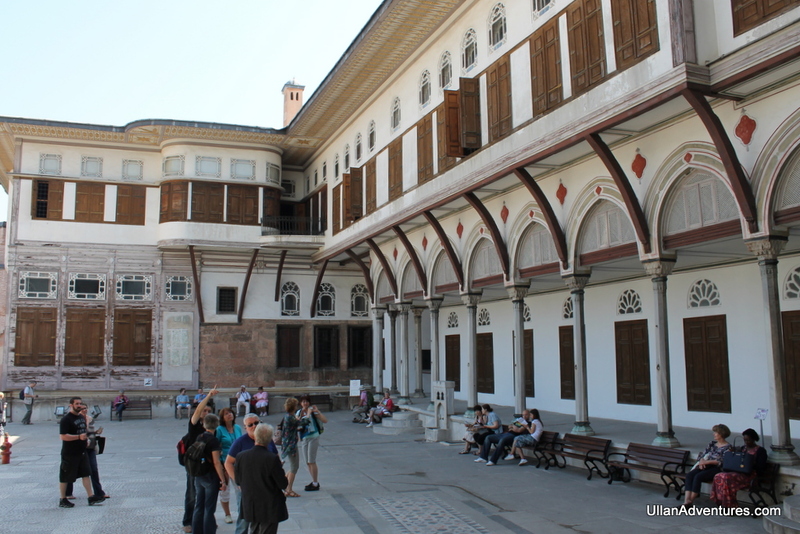 It housed over 4,000 people and consisted of many buildings and courtyards. 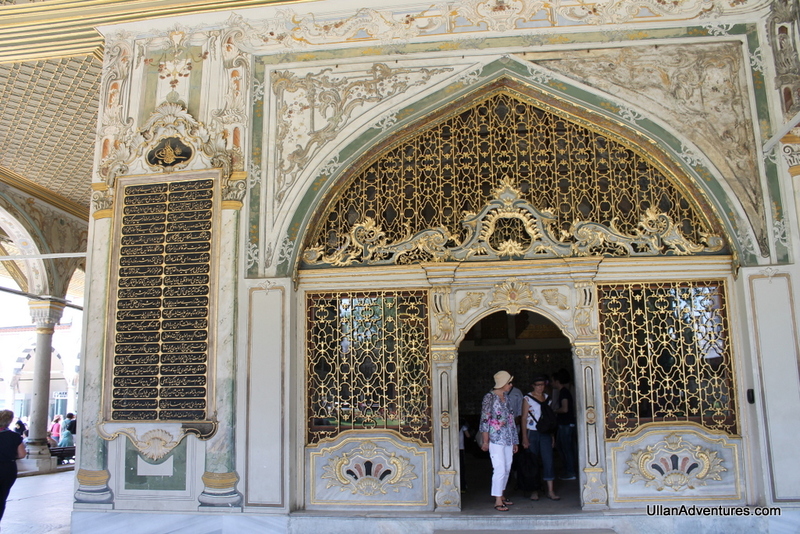 One of the most impressive buildings is the Imperial Treasury that houses the most amazing jewelry, art, and heirlooms that I’ve ever seen including staggering amounts of massive emeralds. 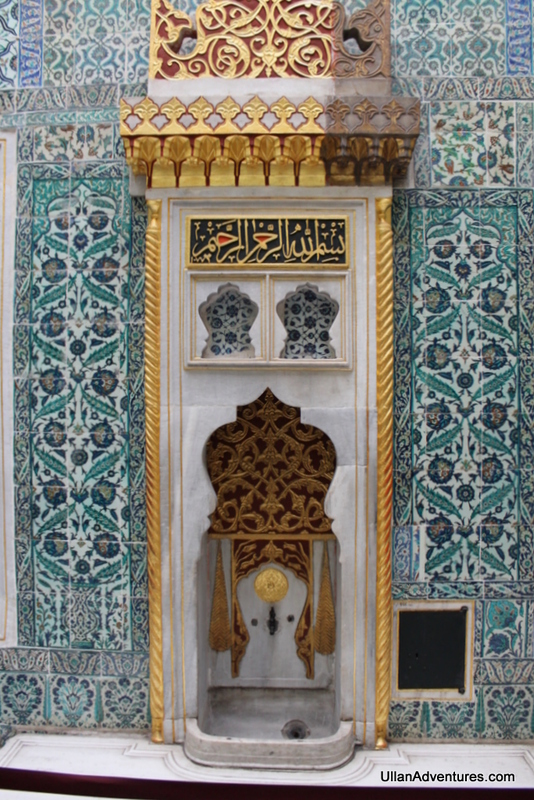 The Privy Chamber houses “the most sacred relics of the Muslim world” – hair, a tooth, and relics that belonged to Muhammad. 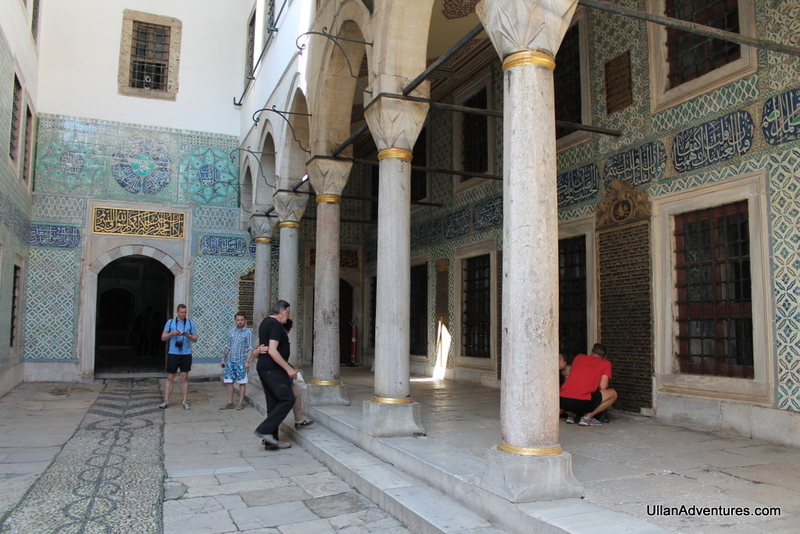 They also had the Staff of Moses on display. 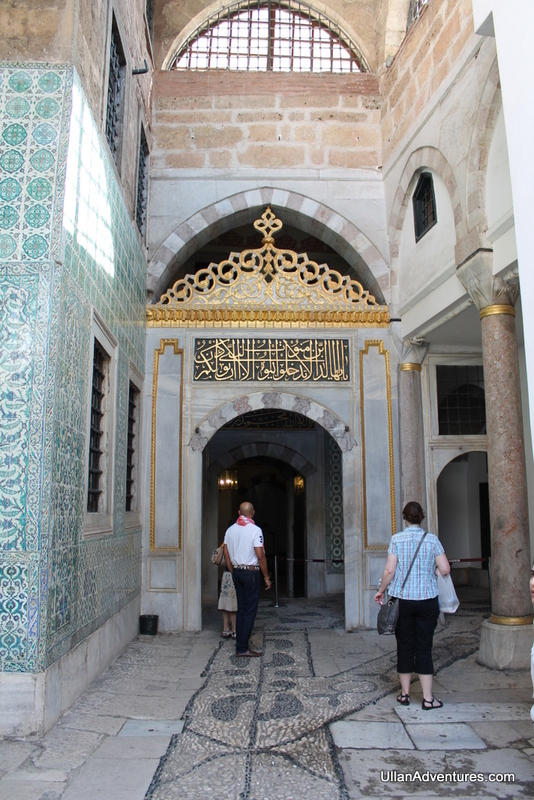 It was really cool to see such amazing historic objects. 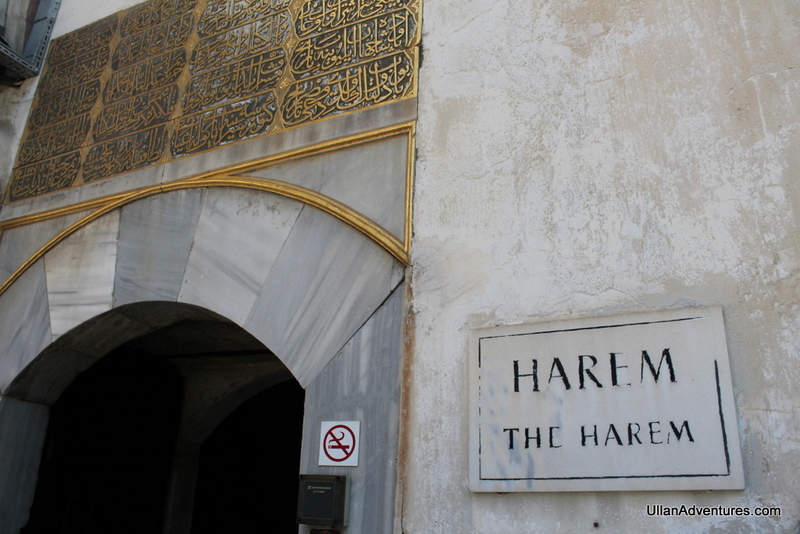 We spent a large part of our time visiting the famous “Harem” where the Sultan’s mother, wives, children, and concubines lived. 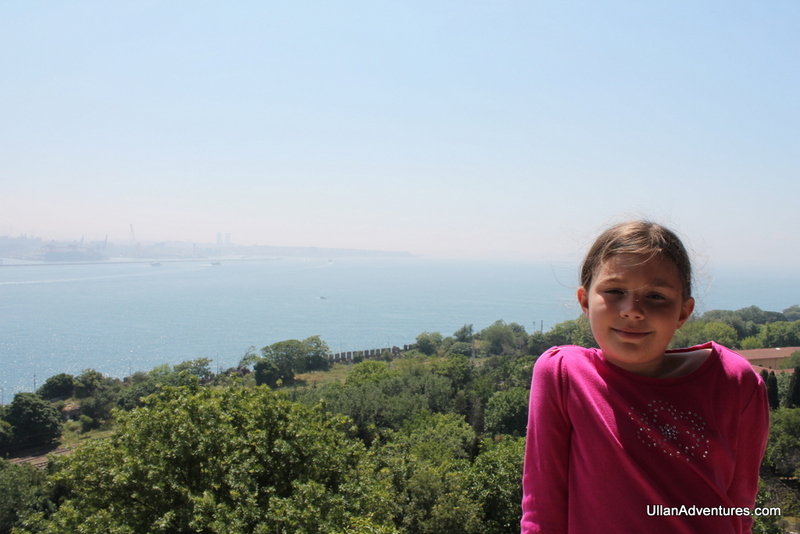 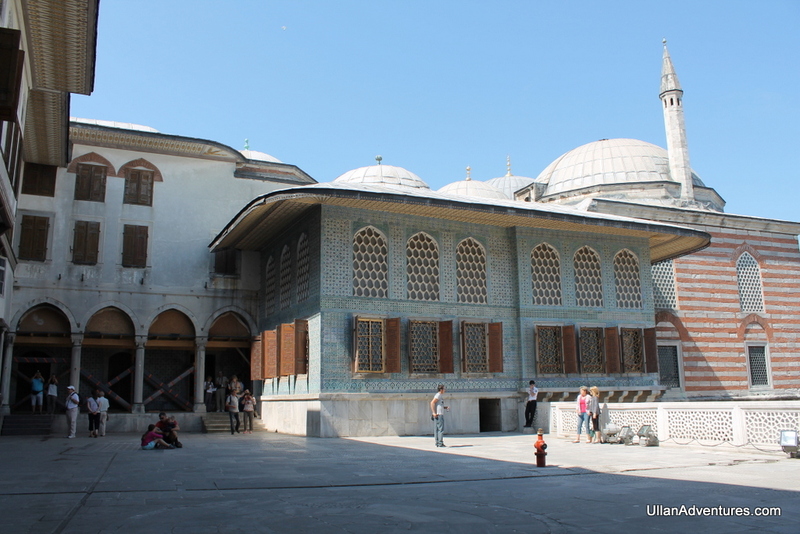 Definitely worth a visit if you got to Istanbul – unless you’re a worn-out kid!